The world premiere of Off the Grid, a documentary which screened at the Anthem Libertarian Film Festival at the Paris Resort in Las Vegas July 11-14, takes viewers to the very un-Washington home of Congressman Thomas Massie. The film won both the Best Libertarian Values Short Documentary Award and Audience Choice Award. In it, we find out that you can be a nerd, a farmer, and a congressman. It just takes a little work. We see the congressman working on his farm in eastern Kentucky. Along the way we find out how he got the nerd and geek labels. Before deciding on life on a farm, he studied robotics at MIT. He became a technology entrepreneur, developing virtual reality devices and registered 24 patents. He and his wife wanted to raise their children on a farm, so he sold his business and they moved back to their childhood town, where he built a house with his own hands. The film details his success in creating a home that is not just off-the-grid in internet terms but is off-the-grid in terms of being stand-alone sustainable for energy and food. In Lord of the Rings, Mordor is the center of evil. He continued with the analogy. “And in my pocket, is my precious.” Precious was the name of the all powerful and corrupting ring in Lord of the Rings. In Massie’s case, Precious was his Congressional lapel pin. Massie is not a fan of the effects of Precious. After the film, Massie and the director of Off the Grid, Matt Battaglia, took questions from the audience. An audience member asked how the principles Massie advocated in the film could be applied to urban America. Another audience member asked if Massie and his wife Ronda were home schooling their children. Another questioner turned the subject back to Washington and asked whether, since 2010, had the new wave of congressmen really changed anything. An audience member asked Director Battaglia where he got the idea for the film. Battaglia said that the film is still on the festival circuit, but that people should check the producers’ website for updates on when they could see it. You can watch a preview, below. 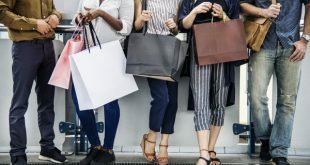 Sustainability is the “right” choice, and increasingly, it’s becoming the cheaper one as more consumers choose ethical brands and companies respond.